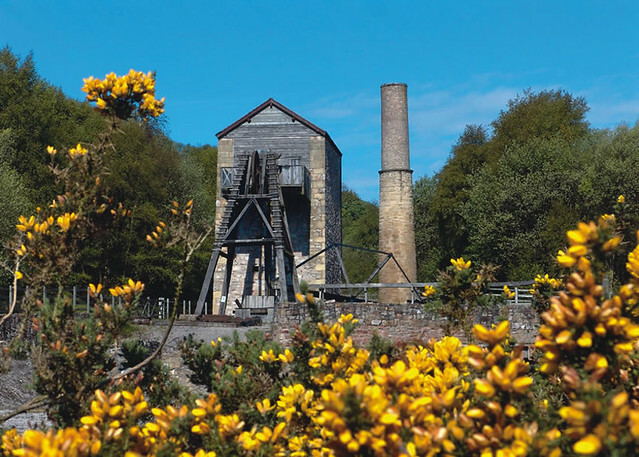 Visit Minera Lead Mines and Country Park for a fascinating glimpse into the industrial past of the beautiful Clywedog Valley. Situated at the head of the valley, Minera is a great starting point for the Clywedog Trail or for accessing the beautiful countryside of Minera Mountain. Enjoy a picnic or take a walk along the old railway line and explore Minera Lead Mines Country Park. Visitors to the museum can explore the remains of the lead processing areas from the 18th and 19th centuries and the restored beam engine house, winding engine and boiler houses. From the top of the Beam Engine House there are fine views of the site and surrounding countryside. Covering 53 acres of grassland, wooded areas and archaeological sites Minera boasts a great variety of wildlife and endless opportunities to explore in peace and tranquillity. The dramatic Minera Mountain adjoins the park to add even further interest for dedicated walkers. A picnic site with scenic views over the valley makes for a great afternoon at Minera Lead Mines and Country Park. Riders & cyclists can use the path along the old railway line. There is ample parking in the car park. N.B. the flying of drones is not permitted in Wrexham Parks. Minera is located next to the villages of New Brighton and Minera and can be reached from the A483, signposted as "Clywedog" on the A483 and "Minera Lead Mines" on the A525. The park is open all year. Further information on the Minera Lead Mines.